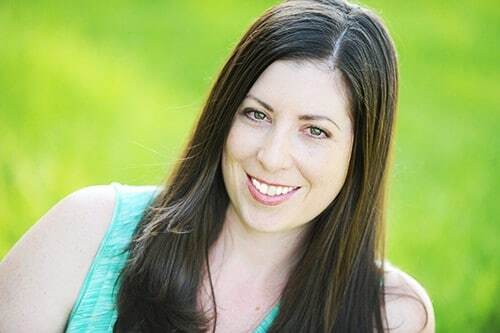 When I first started making my own homemade facial scrubs and homemade body scrubs, in 2012, one of my favorite things to do was find produce that was in season, and create beauty recipes with them. We all know that various fruits, vegetables and herbs are uniquely beneficial to our bodies when we consume them. 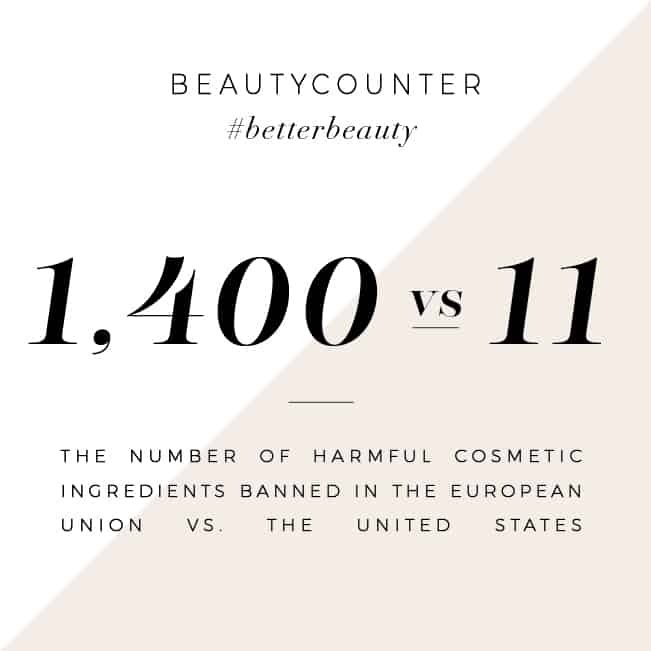 I am also of the belief that each has unique qualities that can be beneficial for our skin. I love doing research to figure out what those benefits are! Makes 1 cup of body scrub. Affiliate links added for reference. 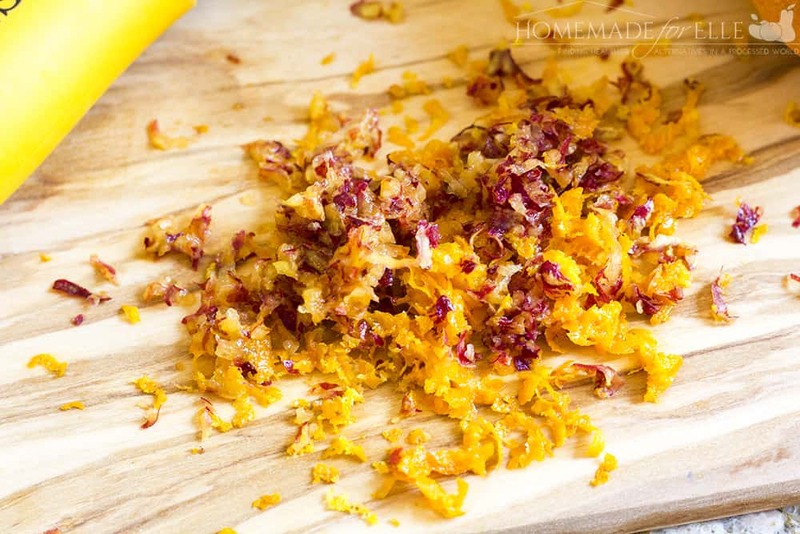 Grate the skin off of the nectarine and the zest off the orange. Set aside. Remove the pit from the nectarine, and place in a bowl. Smash the nectarine with a fork until broken down. Add the nectarine skin and orange rind to the nectarine, and mix. Add in coconut oil and sugar, and stir until incorporated. Transfer to a clean jar with a lid, and store in refrigerator until ready to use. 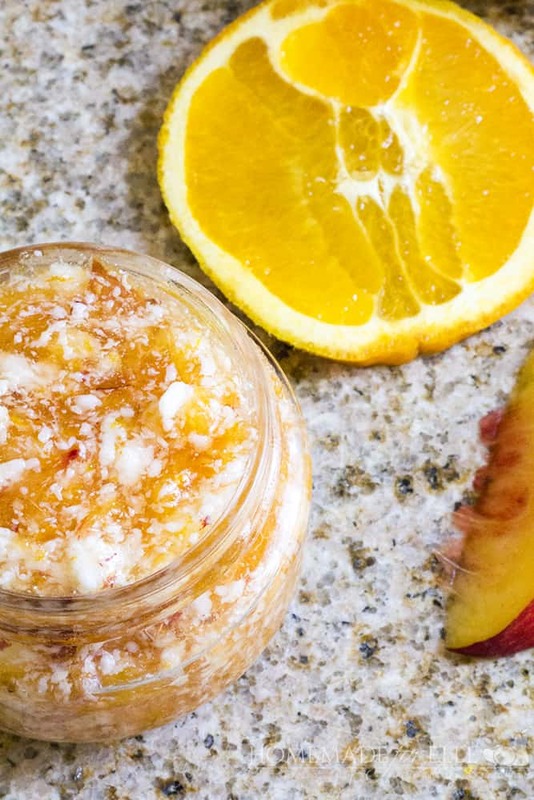 This homemade citrus nectarine exfoliating body scrub will last up to 3 days in the fridge. Apply liberally to body, massaging into the skin with gentle, circular motions. Rinse off with warm water, and dry off skin. 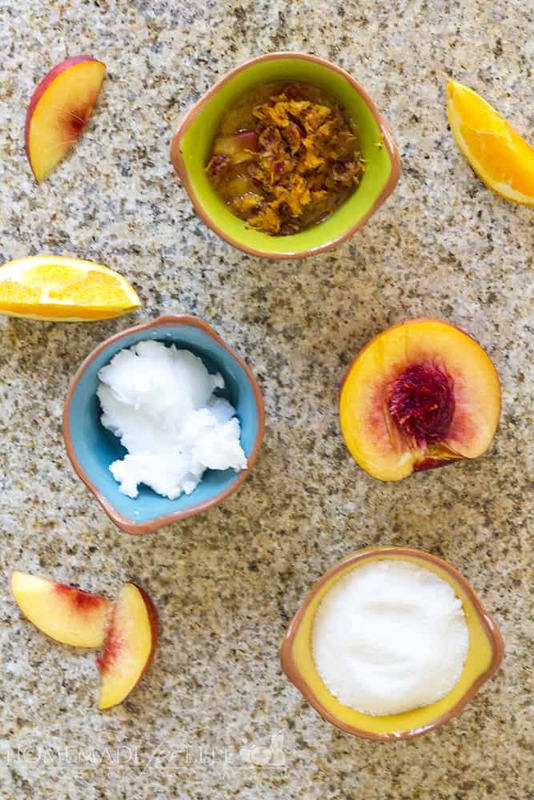 This Homemade Citrus Nectarine Exfoliating Body Scrub will leave your skin feeling super soft and clean. It also leaves behind a refreshingly cheerful and yummy scent! Add in coconut oil and sugar, and stir until incorporated. Transfer to a clean jar with a lid, and store in refrigerator until ready to use. 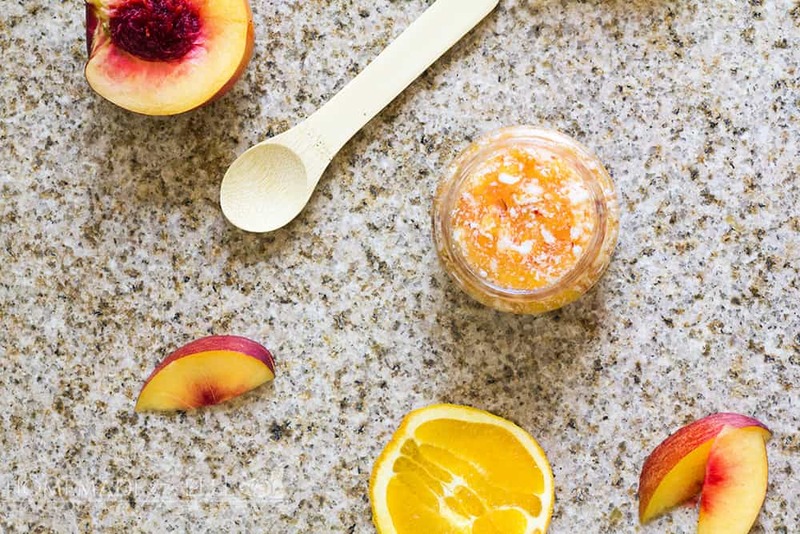 This homemade citrus nectarine body scrub will last up to 3 days in the fridge. 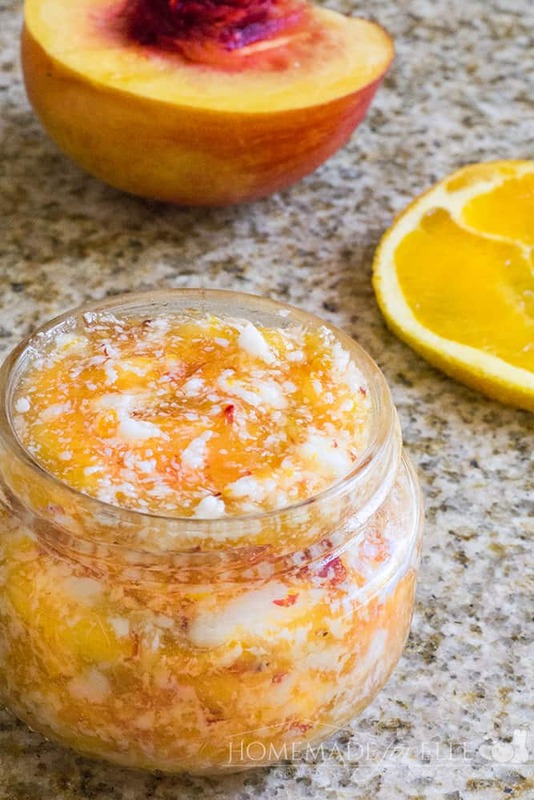 Love Citrus and Nectarines? 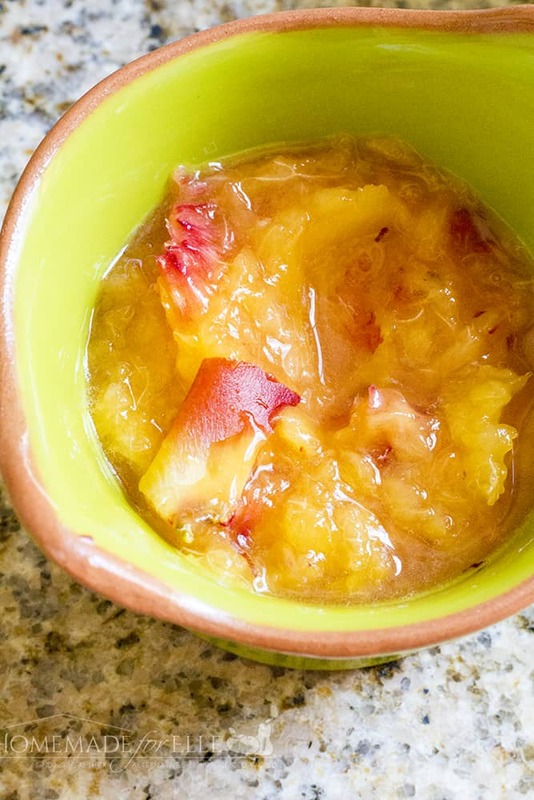 Here are some other great recipes to try!